Having trouble keeping track of your song set? Minim might help. Rogue Amoeba Audio Hijack Pro: At first, you might think this app is just for ripping radio streams. Think again: with powerful effects, routing, recording, and other utilities, it’s a must have addition to your Mac sound toolkit. I use it for recording Max/MSP patches. Rogue Amoeba Fission: Got an audio clip? Just need to slice it up, add a cross-fade, and some meta-data? 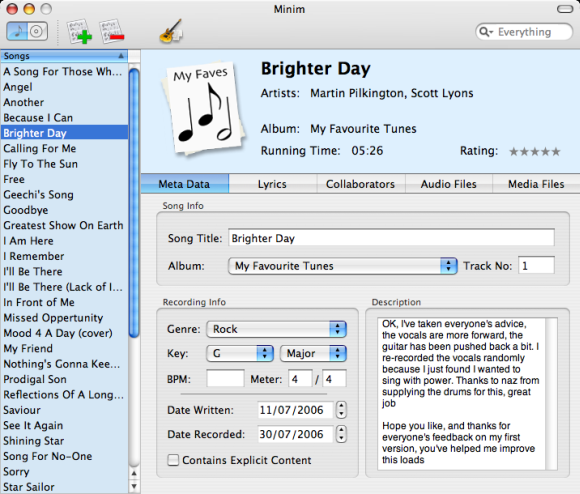 This is the tool for you, and it can even edit MP3, AAC, and Apple Lossless files with no loss in quality — meaning it should help you not only manage your music library, but recordings of gigs and podcasts, too. More on Fission here on CDM soon. Clarion Interval Training: Okay, I’m really glad I’m not teaching ear training this year. If you want to avoid having me as your ear training teacher (I’m tough), use this instead. Minim: Here’s why these deals are great: I’d never seen Minim before. It looks like a fantastic way to organize lyrics, sheet music, and audio clips of your own music. I’ll be trying this one out and hope to report back soon. 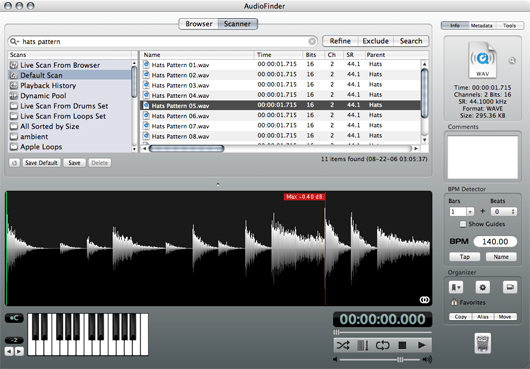 Freeverse Sound Studio 3: This elegant stereo audio editor was one of the first audio apps to even run on Mac OS X, before any commercial app appeared. Now, it’s packed with mature features and most of what people might need for quick editing, effects, and import/export. Give programmers the reward they deserve; shareware makes a great gift — especially if you throw in some “concierge” installation. Or just give it to yourself. I’m putting the finishing touches on CDM’s giant holiday shopping guide, so stay tuned. It should come just in time for you to shop after yourself after the holiday. Come on, you want tax write-offs for the year 2006, right?